Cupping notes: Bright acidity, smooth body, notes of orange zest, chocolate, strawberries, cream and almonds. San José Poaquil is a municipality in the department of Chimaltenango that, like many other indigenous towns in Guatemala’s Western Highlands, suffered during the violence of the early 1980s. 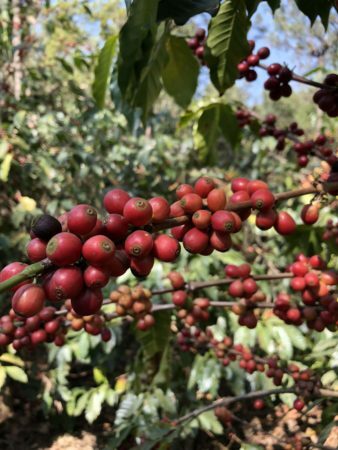 Historically, Chimaltenango has been known for its berry production; it’s only very recently that coffee production has become identifiable with, and traceable to, the department. In large part, this was because producers delivered their cherry to mills in Antigua, which would market and sell the coffees as “Antiguan”— a label that fetched them higher prices. 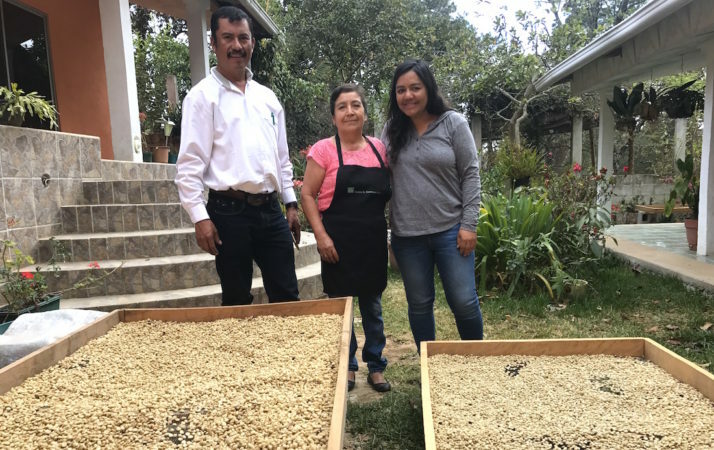 In January 2015, HRNS (a nonprofit foundation formed by the Neumann family and operated entirely separately from the Neumann Kaffee Gruppe, our parent company) began a project to improve living conditions for 1,000 smallholder coffee families in Chimaltenango. The HRNS approach is to promote entrepreneurship and create a framework for change in which farmers and producers can better assess their situations, understand their risks and opportunities and develop a vision for improvement. and help to increase farm yields by sharing agricultural best practices for adapting to and mitigating the effects of climate change. By January 2018, 1,031 families were participating in the program, impacting 5,155 direct beneficiaries; 1,124 hectares were under sustainable management; and 58 percent of women had begun participating in farmer groups and organizations. 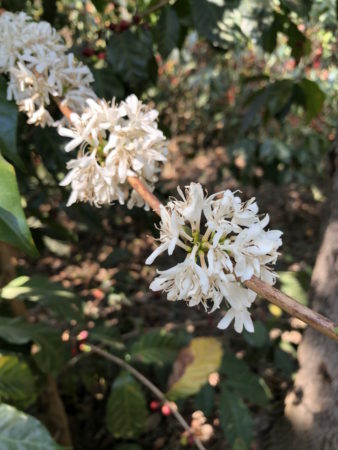 Further, since the project’s start, the area has seen a 56 percent increase in coffee yields, compared to regional averages; and participating farmers have seen a cumulative value addition of 28 percent — or $990 USD in additional income per farmer over the last three years. Erika Tran with Jose Israel Morales, president of the Asuncion Cooperative, and his family. Farmers were used to selling cherry, and HRNS has worked with them, helping them to process to parchment, for which they can get a higher selling price. HRNS also offers agronomy trainings and various courses. 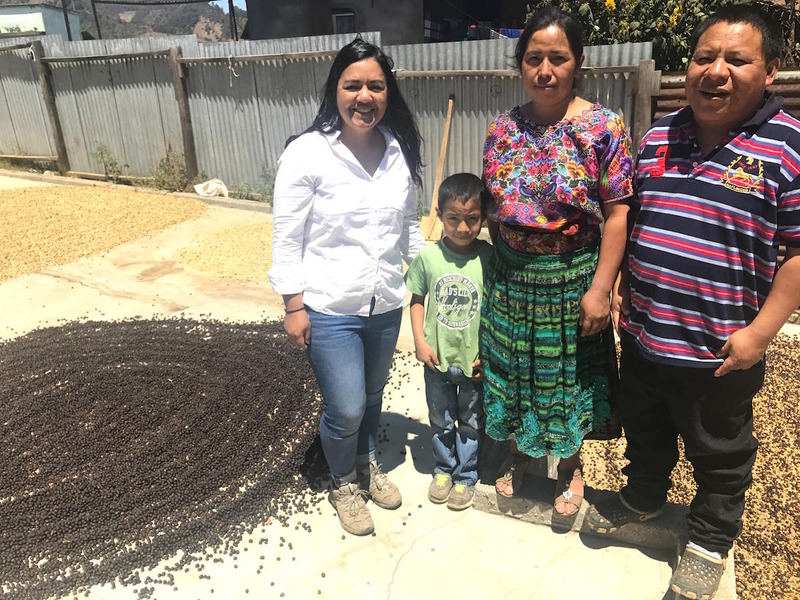 When Erika Tran, our head of sustainability, visited Chimaltenango, among the producers she met as Jose Israel Morales, president of the Asuncion Cooperative, which has 25 members. Don Jose has been experimenting with honey and natural processes, though a key change for him occurred after his wife, who previously was uninterested in coffee, took a cupping class offered by HRNS. After the class, she became very involved in processing and is very enthusiastic about improving the quality of the family's coffee. Similarly, producer Santiago Culpalan (in the above photos, in the hat), was very excited to share his coffee with Erika. 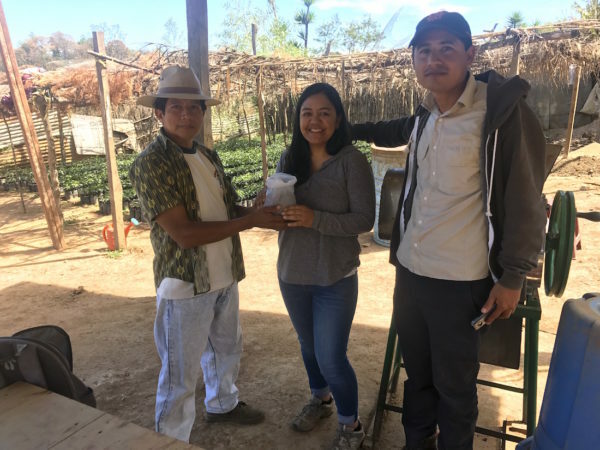 Since training with the HRNS agronomists, he has been experimenting with separating the varieties on his farm, and is interested in how that separation, as well as differences in drying beds, storage and "reposo" all change the final cup. 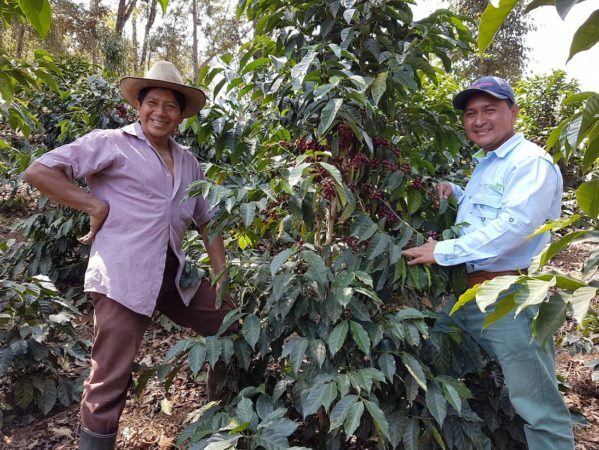 There is still much work to do in the region, but new mills are being opened in Chimaltenango, including Beneficio Catalan — which sources cherry from the farmers working in the HRNS program and which InterAmerican worked with to contract this coffee.